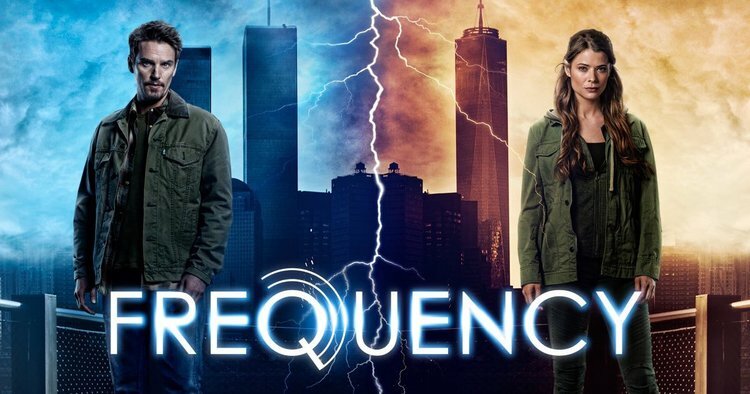 If you're looking for a smart-well thought out-time traversing-science based-procedural like the 2000 film it's based on...then Frequency only partially delivers. Let me preface this by saying I truly enjoyed this plot twisting-roller coaster of a ride the CW has put together. The show was well thought out and it's definitely played off in the way of procedural dramas. What it's not however, is a smart time travel series. If you love “geeking” out over the theories and intricacies of Einstein's ideas of time travel this may not be the show that keeps your attention...so I'm reviewing this with my geek card left at the door and opening my heart and mind to the magic of CW dramas. 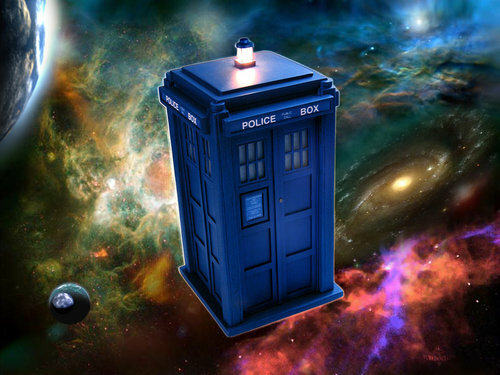 From DeLoreans and Police Boxes to Wormholes and Hot Tubs there's no end to the many "Time-travel" conventions, tropes or inherently odd and silly devices used in pop culture's colorful way of painting our journeys through time. 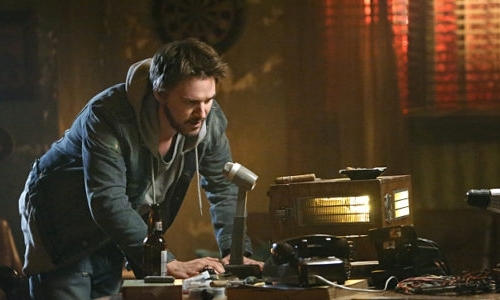 This show demonstrates little effort on that front by simply using a Ham Radio and playing on the title "Frequency." Unlike the film its adapted from, which explained the time-traversing connection of the signal by way of bouncing through a wormhole and back, sees no signs for expository in this show. That being said and my hope for things being explained vacant, I left it at the door and pressed on. 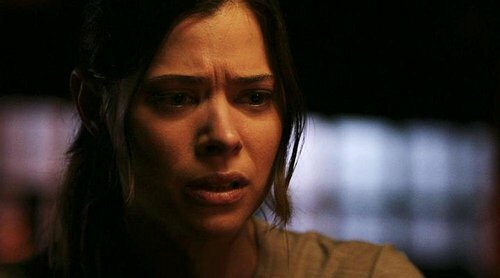 In "Frequency" the Ham radio facilitates the parallel connection of time from 2016's NYPD Det. 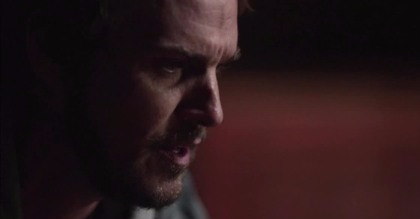 Raimy Sullivan's (Peyton List's) life to that of her late Father, Frank's (Riley Smith) from 1996, also a cop. Beginning in present day, precisely on Raimy's 28th birthday she is called in to investigate a corpse unearthed in a nearby marsh and thought to be the victim of a serial killer gone quiet for the last 20 years. Though the apple doesn't fall far from the tree with her career landing her in the same place as her father, she continues to hold resentment for him leaving the family to go undercover and thought of him to have been corrupt after he was found dead in the east side river only 2 days after her 8th birthday. Her cloudy view of him begins to clear up as the mystery unfolds that night. Beginning with the old Ham Radio turning on with no explanation aside from a small lightning strike on the garages roof top (Again...ignoring nerdy details) and a calm cool voice chimes in from the other side. After hesitantly exchanging information over the Radio they start believing the connection through time is real. This is finally solidified after Raimy urgently explains that he is going to die in the next day and from there events completely unravel. Frank makes a conscious decision based on his future daughters warnings and prevents his own death, albeit narrowly. But this begins to rewrite the past 20 years, starting with the resurgence of the dormant serial killer and now this basically sets the overarching plot for the whole season. And a more noticeable unexplained time travel trope is when the world adjusts or changes from Frank’s actions in ‘96...we only see environmental shifts on the 2016 end. As in Raimy is about to kill a guy as he vanishes before her eyes because he is suddenly killed in ‘96. Wouldn't that dramatic of a change cause her to wake up somewhere else (Ashton Kutcher Style) because she would have never captured the guy to off him in the first place? Now, I feel after watching the show as a whole these details can be explained through analysis and study…but the CW isn’t making a well crafted sci-fi show with drama undertones, it’s making a well crafted drama with sci-fi undertones. The acting is solid with small moments of cheesy-ness peppered throughout but not overstated. I mean Weezer and Oasis litter the first half of this show's soundtrack during Frank's scenes as if to remind us it's the 90's. But overall this show has purpose around the time traveling gimmick. It’s not here to explain the big picture ideas of what they could do with it. It’s a story about a distant parent and a messed up kid at its core. From Frank’s Point of view, he’s trying to be the dad he never was and make a better world for his kid. In Raimy’s eyes, Frank was a distant shadow of a man that let her down. But after 2 episodes and a life changing plot twist…it’s off to the races. Catch the serial killer. The Father-Daughter dynamic hits full swing, as it becomes a buddy cop tale with some strong family connections. This show had a handful of moments that, through the strong performances from both List and Smith, had me nearly crying with them through their struggles. The finale had me at a crossroads however and without spoiling anything here I will finish by saying I truly enjoyed these 13 episodes. It wrapped itself up just enough that I could be happy if that was it. Of course the writers had to throw a small wrench of ambiguity into the last 10 seconds leaving it open for continuation. At the time of writing this review it hasn’t been picked up for a second season and maybe that’s okay. If the writers can keep the strength and focus it had here I can safely say I would welcome another season.